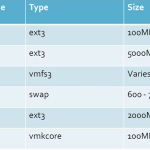 VMWare comparison of vsphere 4, 4.1 & 5. 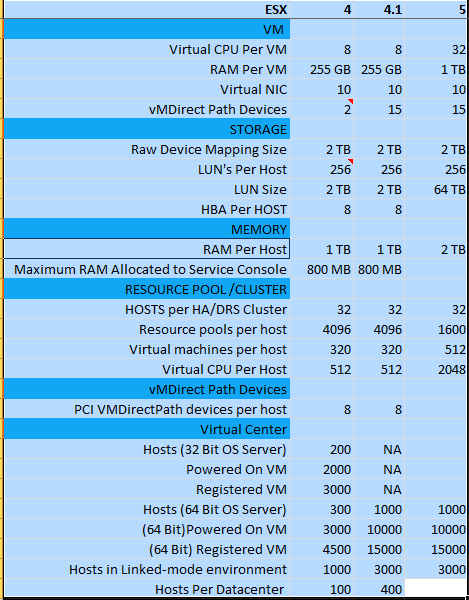 Maximum Configuration comparison of ESX hosts to compare virtualization. How to add datastore on ESX and how it will be visible to all ESX servers? Default Partitions in ESX ?